Katie Gillian's mother is a dedicated investigative reporter. Her articles have helped innocent men on death row and have halted the illegal dumping of toxic wastes. Now the Gillians have moved from their home in Dallas to a small, quiet Texas town, where Katie's mother is taking six months off to write a novel. In the local high school, Katie feels like an outsider. But as she meets the townspeople, she begins to feel fear as well. Someone prowls around outside her house at night. A homely girl who befriends Katie suddenly disappears. Now the Gillians are determined to discover what evil is lurking in the shadows of this seemingly ordinary town. Joan Lowery Nixon has written more than 90 books for young readers. A four-time winner of the Edgar Award and recipient of numerous other honors, she creates mysteries that immediately grab the attention of young adults. 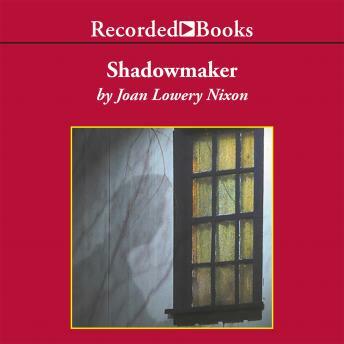 The psychological suspense of Shadowmaker is heightened by Stina Nielsen's dramatic narration.